New Nancy Whang. Produced by Bonar Bradberry. 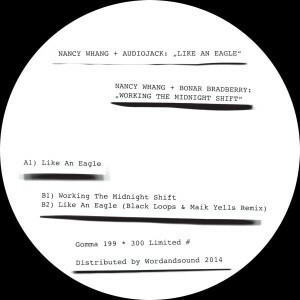 The second single of Nancy Whang on Gomma. A cover of Donna Summer’s “Working the Midnight Shift”. The Moroder classic. But Bonar Bradberry made a new fantastic beat! We have 2 versions: A italo disco summer and a darker detroit inspired electro version. Top tunes!